A flexible bookend that can be placed in different ways to support various sized books. 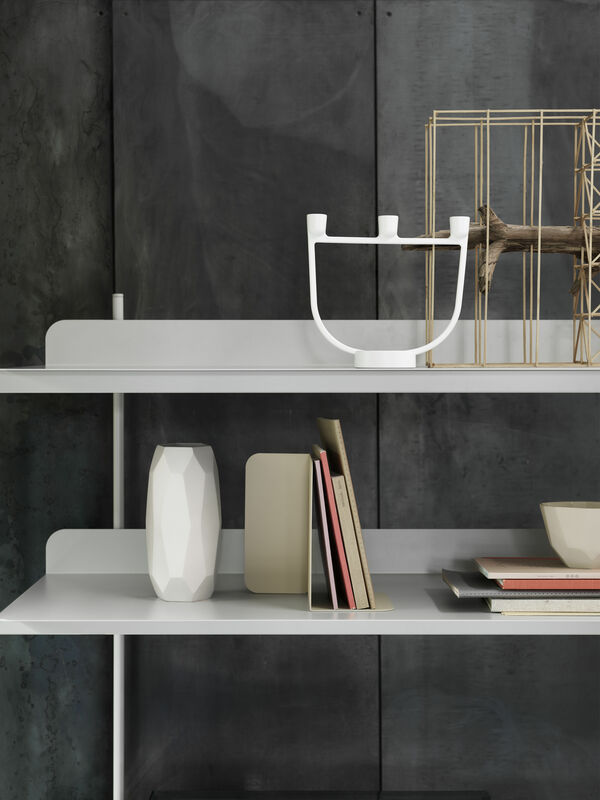 The bookends serve as a sculpturally decorative element, adding color and personality to a shelving system. 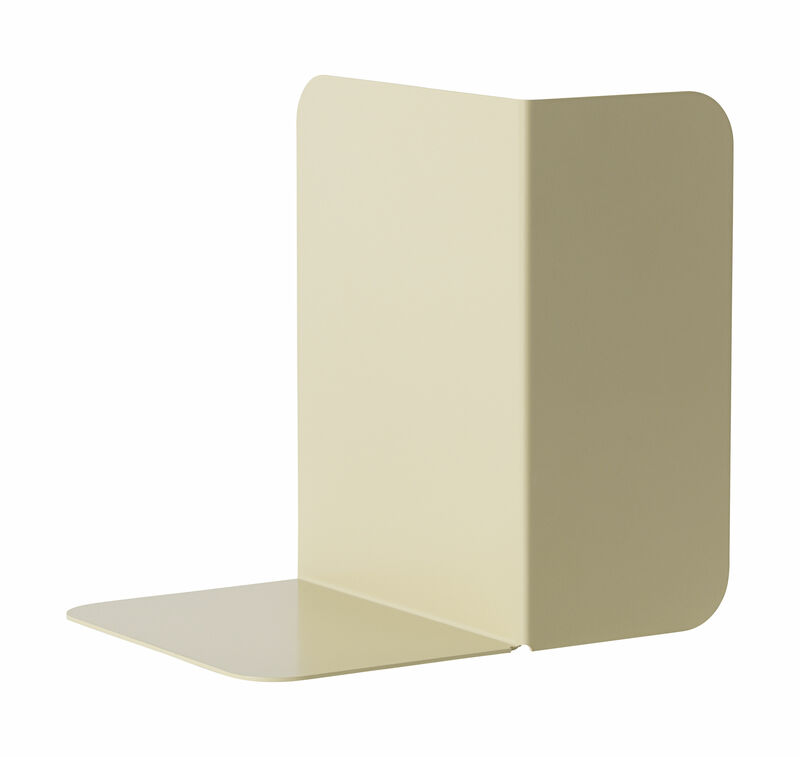 The design and function of these bookends allows it to be suitable for many environments, be it in a living space, office, or reception.